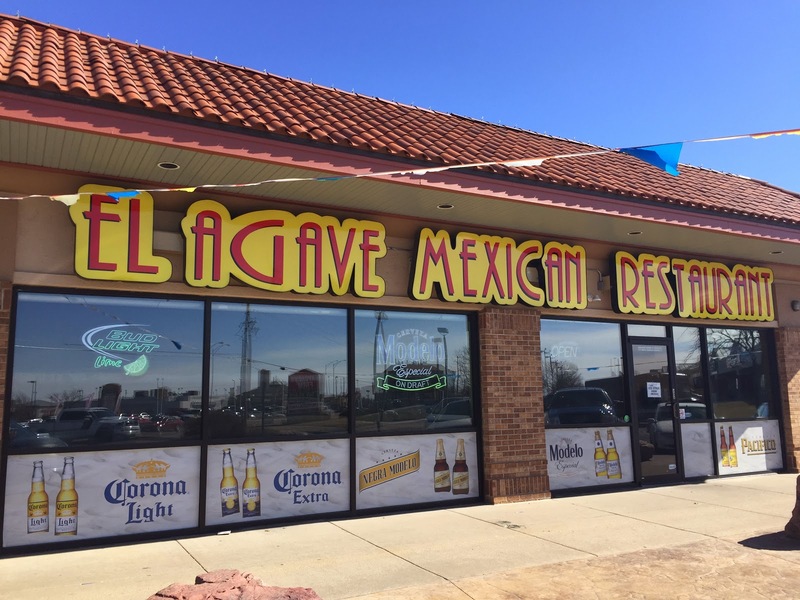 El Agave Mexican Restaurant Review – Wichita By E.B. Adding new spots for my lunch rotation with friends is pretty hard to do. A restaurant has to be able to please 4-6 taste palates. Most times we will know after the first couple bites if whichever new restaurant we choose will go into the rotation. The most important detail is the restaurant has to be on the northeast side of town as that is where most of us work at. The second most important detail is……well there is no second important detail besides the fact that a restaurant has to be liked by all. Our new prospective restaurant was decided on a whim. Introducing the newest review on El Agave Mexican Restaurant. 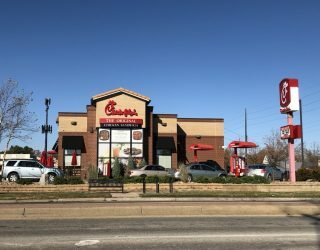 They are located at 3236 North Rock Road in the same building strip as Buffalo Wild Wings. They used to about a block north but moved into this building recently. El Agave is a near match of most Tex Mex restaurants you’ll see in Wichita from the décor inside to the menu to the music and to the speed of the service. Upon seating, our drink orders were promptly taken and served. We were given plenty of chips and salsa to snack on before our meals came out. The salsa was good. We went through an endless amount of bottles of salsa. Most of us rated it below On the Border’s salsa, better than Carlos O’Kelly’s salsa and on par with Playa Azul’s. We also ordered a side of guacamole that by the end of lunch was still 80% full. We were not pleased with the guacamole at all. How about the meals? Between the four of us we ordered the fajitas, two enchilada combo, the chimichanga, and a burrito. My chimichanga was ok; it was very small compared to the chimichanga lunch sizes I’ve seen at other places. The beef was seasoned well and the tortilla wasn’t too hard. The rice was a little bit of a letdown. My friend wasn’t too pleased with his enchilada nor was my friend who ordered the burrito. My friend who ordered the fajitas did like his meal though and said he enjoyed the place. So in the end that was 1 of 4 of us who gave it a thumbs up. The service was outstanding, the price were on par with what you find elsewhere but the food left a little to be desired. Unfortunately it may be unlikely we’d go back. Here lately on the reviews, it’s been more misses than hits. Hopefully I can find another gem of a restaurant soon.